The following article was written at the time I wrote Classic Nigel Kneale: Beasts - During Barty's Party in December of 2011. I often write additional articles at the time I view a program that somehow tie into that program I am watching. Whether it is a DVD extra, soundtrack or even a whole other program these articles are kept back get published when I do not have time to write a new article or if I want to take a week off. Enjoy! 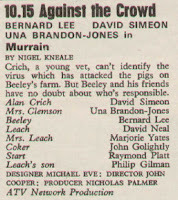 In 1975, Nigel Kneale wrote a script for the ATV series Against the Crowd. The series’ premise was about society’s outsiders. 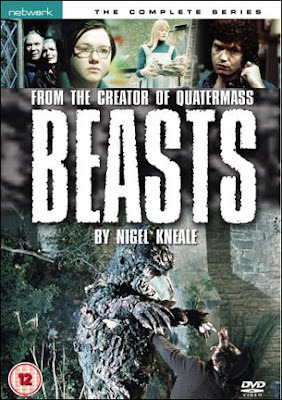 Produced by Nicholas Palmer, this episode serves as an unofficial pilot to the ATV series Beasts. Kneale enjoyed the process of writing the episode and working for ATV. 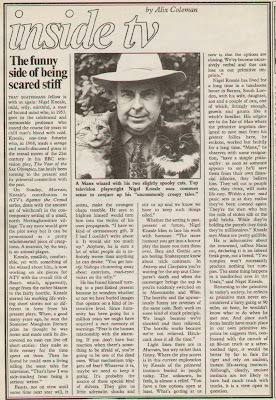 His relationship was again souring between the BBC and himself and he enjoyed working with Nicholas Palmer. 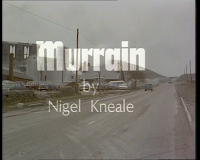 Murrain simply means a plague and that is exactly how the episode starts out. 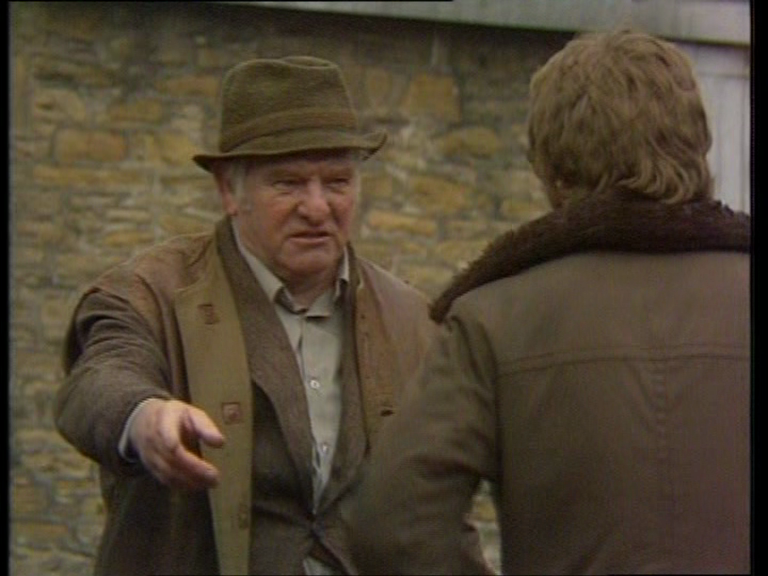 Vet Alan Crich comes out to a rural village to look in on Farmer Beeley’s pigs. The pigs are dying and the water that is up the hill which comes from the spring has dried up. Crich doesn’t know why. Beeley and his farm hands know. They believe that an old woman who lives up the road from Beeley, Mrs. Clemson is a witch and they hate her. They believe that she is killing off the pigs through witchcraft, messing with the water supply and also making people sick. Beeley has organized the village to retaliate to the perceived witchcraft. She is old and not very mobile anymore so the village refuses to allow her to buy any food from the local store which is literally across the street from her. They also believed her cat was spying on them, so they killed it. What Beeley wants Crich to do is to go inside her house and purify her house. Of course, Crich is absolutely not going to do it. Even when forced and threatened to do so, he refuses. Instead, Crich goes to Mrs. Clemson on his own to meet her just by himself because he knows that they are starving her out and wants to help. Meeting Mrs. Clemson, he realizes that she is an old woman who can do very little about the situation she is in. She even has money to buy food but they refuse. Crich decides to take matters into his own hands. In his mind, she is no witch, just someone who needs his help. Crich, taking Mrs. Clemson’s money, goes to the local store to buy food for her and tells the owner Mrs. Leach that he is buying the food for himself. Once Beeley and his men meet up with Crich in the store, the truth comes out that he is buying to food for Mrs. Clemson. Mrs. Leach screams and is horrified that she has touched money that came from a witch. She is scared because her son is very sick and she thinks this is because of Mrs. Clemson. Crich comes back the next day with groceries for Mrs. Clemson who is very appreciative for the groceries. It is there that Crich realizes that Mrs. Clemson is a little crazy. Saddened by a little girl who she used to think of as her daughter but eventually was told could never see her again. As Crich leaves the house, Beeley and his men are back. They forcefully take Crich into the store to show him what happened to Mrs. Leach. She is now sick and her hands, which she used to touch the money, are extremely swollen. Beeley is very angry and they have decided to go to Mrs. Clemson and kill her. Crich runs up to the house first to warn her and as the gang come up to confront her, she comes out of her door, says a spell and Beeley drops dead right in his tracks. 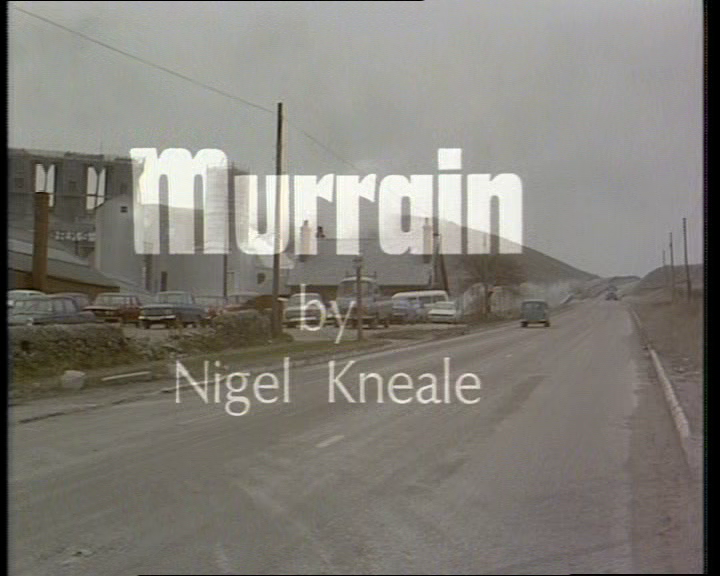 Murrain is highly enjoyable and quite atmospheric. On the surface, the setting looks like something that could be seen on something like All Creatures Great & Small. Small village, country side and hard working villagers. The accents for some of the people from the village was sometimes difficult for me to follow. 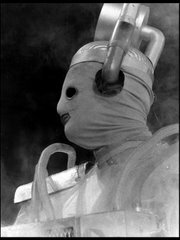 The entire production was shot on video, the same as Beasts. Generally, I prefer film for the exterior scenes but this works very well for this story. It gave a great sense to a small village feel. British television has always been great at capturing this side of British life and whenever I see it, I absolutely love it. One things I noticed about this story too is that the scope of the episode isn’t grand. It is confined to just a few locations and a few characters. It literally is the village against Mrs. Clemson. 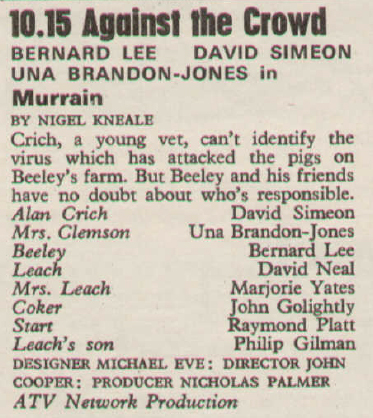 I think the one thing that really stands out for me is the character Beeley. 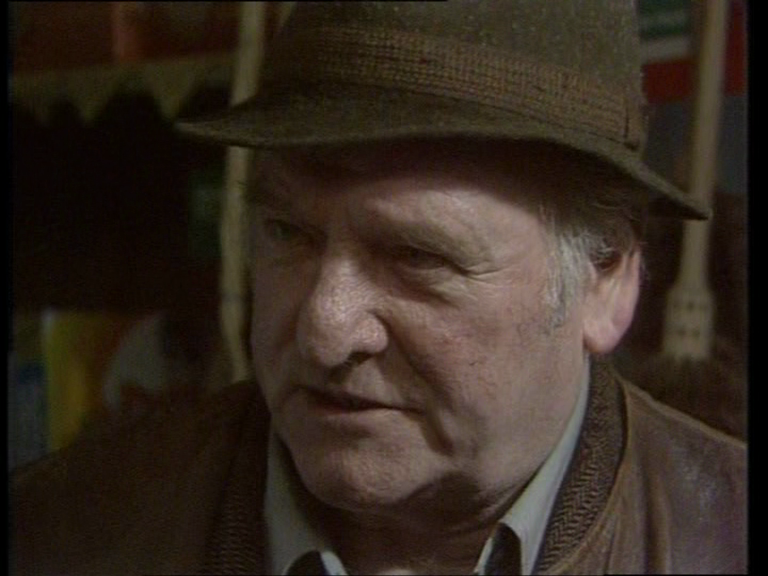 Beeley is played by Bernard Lee. If you are a fan of the James Bond film franchise, I absolutely do not need to tell you who he is but I will anyway. He was the original M character. He was in the film series from Dr. No through Moonraker. It’s funny, these people are actors. The reason Lee would be in the Bond franchise is because he is an excellent actor. Yet, I am still surprised to see him in this role as he is not in a sophisticated position high up in her majesty’s government but he is a narrow-minded farmer in this. For some reason that is odd for me to accept because I am surprised to see him in television. It’s weird that I even think this way because he is an actor, his job is to act and to act in as many different things as possible. He is tremendous in this. I think it’s probably because this is the first thing I have ever seen him in outside playing the role of M but he is really good in it. 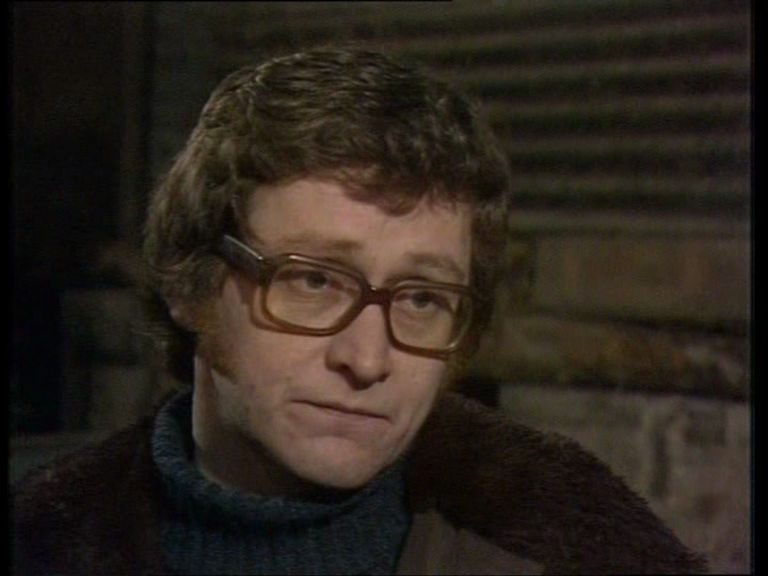 David Simeon plays Crich. I recognized Simeon from playing the role of Alistair Ferguson in the Doctor Who story, The Dæmons. 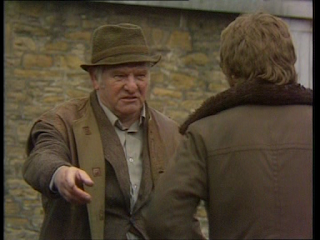 He is also very good in this episode playing rational character vs the irrational superstitious Beeley. 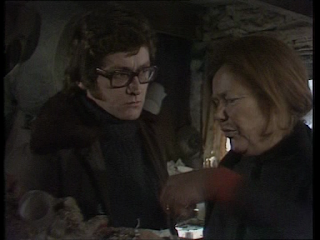 In the DVD viewing notes for Beasts which this episode is an extra on the DVD set, Andy Murray says the outcome of the episode is ambiguous whether or not Mrs. Clemson is actually a witch or not and that Kneale left it up to the audience to decide for themselves. Thinking about it, I guess that makes sense. I actually assumed she was a witch but the way it is laid out, maybe not. The only thing we see Mrs. Clemson do that could be considered witch like is her saying some kind of spell before Beeley falls down dead. It could very much be power of suggestion and when Beeley heard the “spell”, it may have been too much for him and he had a heart attack. In regards to the sick kid and his mom, it could be the effect of the murrain. The kid was probably hanging around where the pigs were ill and ended up getting the sickness. Mrs. Leach had been attending to the kid and it is possible she got sick too. Or it could be that Mrs. Clemson was a witch. Have you ever seen this episode? Do you have any thoughts? I think we are lucky with Against the Crowd. 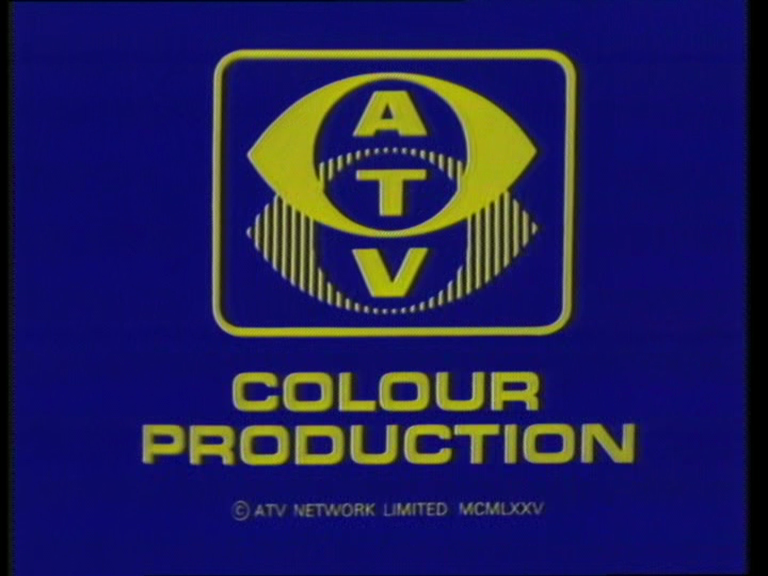 This ATV series was around for one series in 1975. It appears that two out of seven episodes are missing. Luckily Murrain is not one of them. I don’t mean that in the sense that any of the other episodes are worth being missing, it is more down to the fact that this episode is a nice forerunner to Beasts. 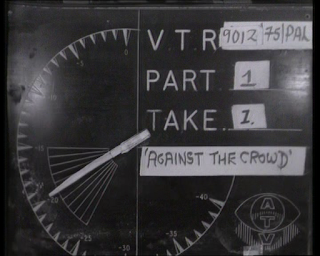 It is interesting to note that as I said above that all episodes of Beasts were shot on video and that is how they all exist, one of the episodes of Against the Crowd exists as a 16mm colour film print taken from a 2” master tape. 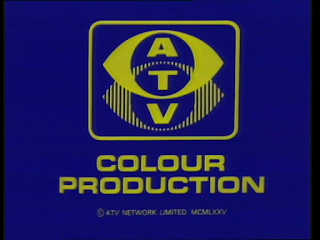 I would assume basically a colour telerecording. It’s shocking that material was still being wiped as late as 1975! As of writing this article, Murrain is the only episode of Against the Crowd that is available on DVD and I do not have any other episodes of this series in my own collection. That being said, I would love to see the 16mm film recording with the 2” videotape source. If you ever seen The Best of Benny Hill film from 1974, it will probably look a little like that.